Broken Wheat Payasam | Godhumai Payasam | Easy Payasam Recipe – First I tried making payasam with Broken wheat on my cousin birthday. It came out really good saturating their satisfaction. When I repeated a couple of times too the consistency was found to be well maintained evenly. So felt like sharing the same here as a post hoping to be useful ? 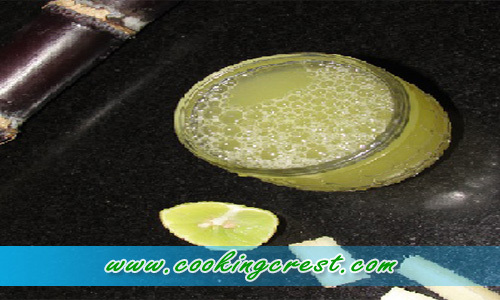 Its a very simple and easy sweet recipe where the consistency can easily be obtained. I would suggest it is a best option for beginners. 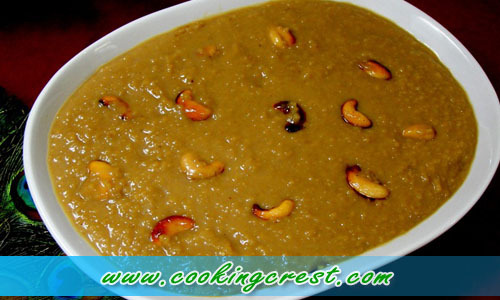 Take the broken wheat in pressure pan and jaggery in a thick bowl. Pressure cook for 5-6 whistles and heat the jaggery bowl until it melts. Transfer the cooked wheat in a round bottom vessel, add the milk and let it boil in simmer. Scrap the sides of the malai formed into the vessel and keep mixing until the payasam gets thickened. Now add the condensed milk and leave for two minutes. Fry cashews, raisins in ghee and add to it. Transfer to a serving bowl and server hot. Else refrigerate and serve chilled. Just because I had remaining milk maid at home I used it. Hence adding of condensed milk is purely optional. Scraping the sides is an important step to get the taste of condensed milk. So take care to do this at regular intervals. You can also add cardamom powder if you would like have the aroma. I don’t generally prefer here. The measurement given above serves for about 3 persons.